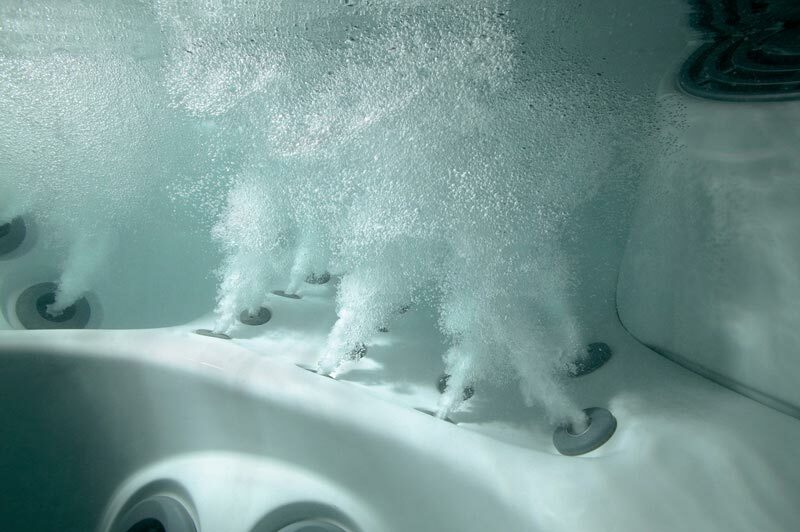 Hydrotherapy benefits the mind and body. 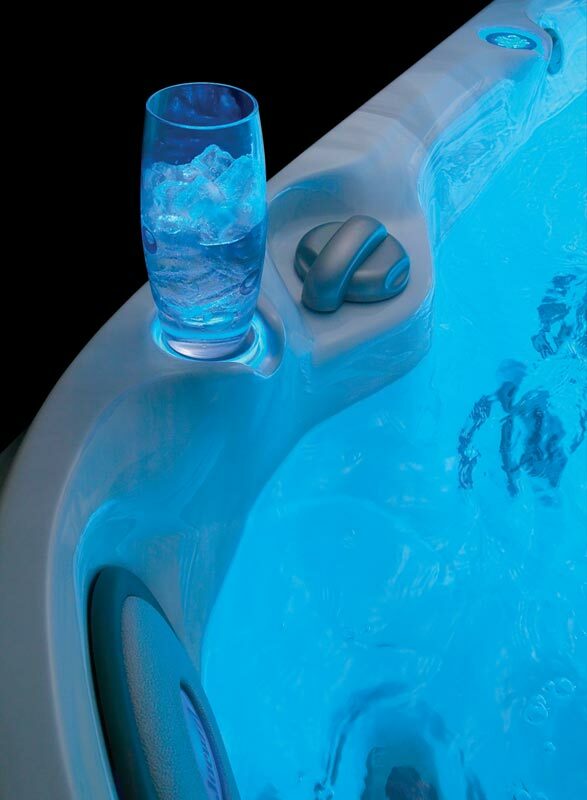 Warm water in motion stimulates endorphins, the natural painkillers your body puts to good use in so many ways. 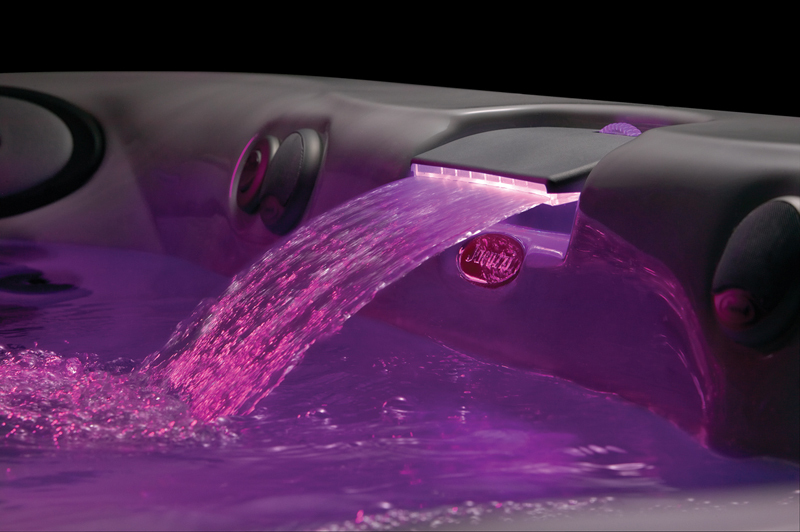 The Jacuzzi® FX10™ Therapy Seat in the J-335™ (and other models) may be one of the best places on the planet to experience the benefits of hydrotherapy. Every curve in the FX10 Therapy Seat has been designed to fit the body; each of the adjustable-stream FX Jets is positioned to direct water with precision and strength. 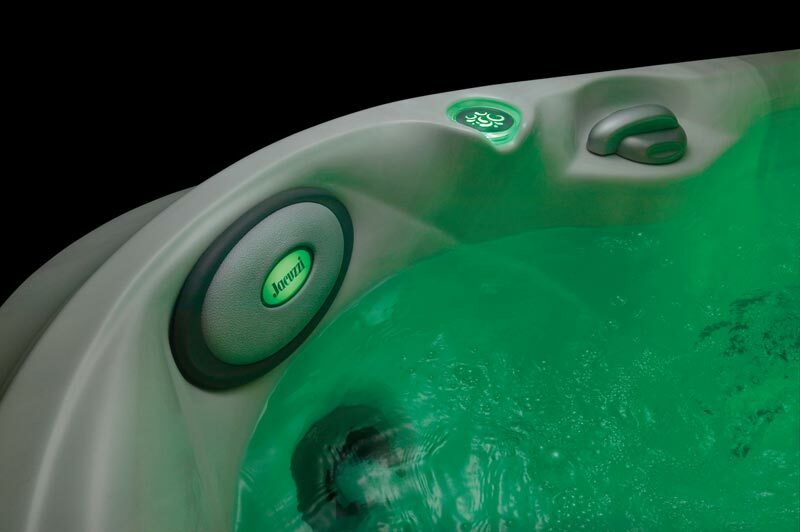 Bonus: the J-335 includes a lounge seat – another one of the world’s best places to enjoy a hydrotherapeutic massage. 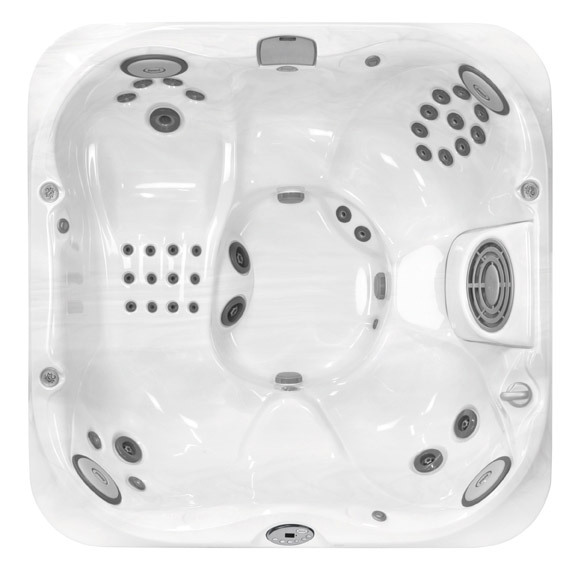 Along with Jacuzzi’s famous hydrotherapy, benefits of the J-335 include seating for four to five adults – perfect for most families or couples. The waterfall with colored lighting adds soothing background sounds as well as visual beauty to enhance the relaxing benefits of hydrotherapy. Lean back into the cradling comfort of the pillow headlights, and surround yourself with the glow of the ProLites. The J-335 brings every detail together to relieve tension and stress.